All in the Quest of a Gourmet Jerky – SUPPLY & DEMAND JERKY CO.
Over the last five months Chris and I have picked up a new hobby, leading us on the quest to perfect an all natural, quality crafted beef jerky. Our experience thus far, has been quite the ride, from crafting the best flavours and getting the texture just right; to finding the best packaging and creating a kickass name and logo. We are extremely thankful to our friends and family for their support along the way. Thanks for the repeated sampling (our apologies for the not so good trials) and thank you for the positive and constructive feedback, it has helped tremendously! We are well on our way to perfecting the brand and now want to share the news with all of you to see what the public response is like. 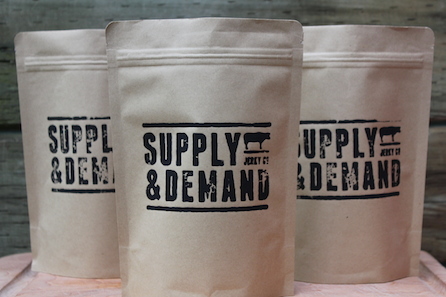 We have lots planned for Supply & Demand Jerky Co., and hope you will join this journey with us. 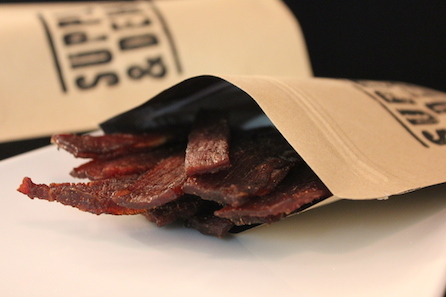 Supply & Demand Jerky Co.
Our mission is to promote all-natural ingredients, high quality input, and the hand craft that we value in making for a better jerky. We believe in simple and wholesome flavour, where there are no nitrates, MSG, artificial additives or corn syrup. Supply & Demand is steering away from the names that are familiar in the market; and is focusing on the local foodie, health and fitness enthusiast, who enjoys high quality artisan foods. 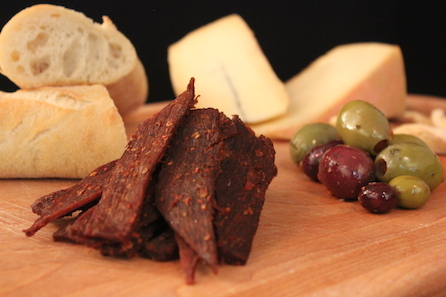 We are excited to put forth a beef jerky that is better for you with real ingredients and today we are excited to showcase four flavours for your enjoyment. 4 oz. bags of our latest batch are being offered at $8.99 for your pleasure (+shipping). Please email us at sdjerkyco@gmail.com to place your order. Limited Quantities Available.